From nextSTL: The former Hope Lutheran School located at 5320 Brannon in the Southampton neighborhood seems an unlikely residential conversion. It isn’t a classic century-old historic St. Louis school building, and it’s relatively small. Yet today the 22 units, completed in March, are 90% occupied, and an unremarkable building has been repurposed to provide a rare loft housing option in its part of the city. Now Advantes Development is turning its attention to the former Lafayette School in the heart of Soulard. Designed by William .B. Ittner and named for general Marie Jean Paul Lafayette, the 62Ksf Lafayette School was completed in 1907 and closed in 2004. 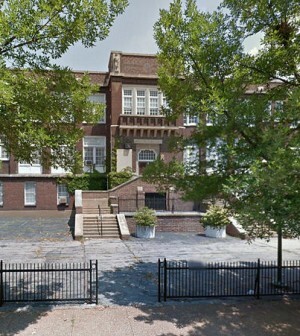 The building had been originally listed by the St. Louis Public Schools at $1.24M, and then reduced to $836K. The main entrance fronts Ann Avenue as the property also borders 9th Street to the west and 7th Street to the east.